Better Late Than Never -FIRST EVER! PattyAnn.net Newsletter! Greetings and Welcome to the Final Chapter of 2017! In January of this year -2017, sadly I lost my beloved Toby dog who inspired my Pet Project mission. He left a big pawprint upon my life and he is dearly missed. 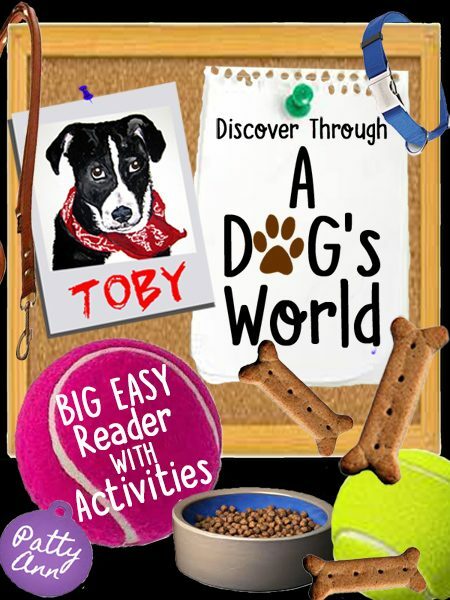 To learn more about Toby’s significant contributions click HERE. This year in the book building business brought on lots of activity. In-between adding new books, a much closer scrutiny of product sales occurred. This analysis was quite revealing! Consequently, many covers got updated to accurately reflect their content. As well, some content was edited. A writer-publisher’s work is never done! In November I added another education vendor. Check out my new E-store at Teachers Notebook. Pinterest got a lot more of my attention as well. From organizing and updating, to creating new boards. Check out MY BOARDS! And feel free to send me a message to join one or two! This month marks the SECOND ANNUAL ANNIVERSARY of Patty Ann’s Pet Project! I can’t even believe it myself! Where does time go? What was once an inkling of a dream, is now a full blown passion project. My book sales have supported some wonderful animal sanctuaries and rescue groups over the last two years. Check out my list of ongoing Donation Recipients. I hope this season brings a rest filled closure to your 2017 as we prepare to embark on yet another new year! My Best to Each One of YOU for 2018! P.S. If you would like to receive my occasional newsletters submit your request on the CONTACT page by checking off the SIGN ME UP BOX! Reflective Lessons – From Cover Duds to Dandy Sellers! 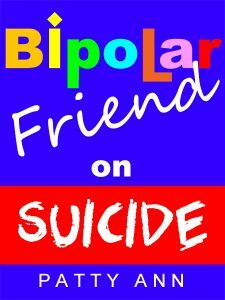 Bipolar Friend on Suicide (Pictured on the right) > This cover was very similar to the original cover and the exact title for this book when created. When I added and edited to the content I also thought a new cover was warranted. The new cover did not sell. Well, guess what? I missed a beat! And, didn’t take my own advice! I had not reviewed past sales figures on this particular book. When I did, 3! years later, I found the original cover and title SOLD! A LOT! OMG! What was I thinking? It pay$ to be attentive to sales figures on schedule! And, with this knowledge I invented a Bipolar Friend four book series! Anyway. Lesson learned. With GREAT content and an updated new-old cover; this one should go on a rocket ride! Build SCREAMING eBook Covers That $ELL! This product is near and dear to my heart. Why? Because it came out of the last 5+ years of designing my own ebook covers. And, from watching what caught the eye of buyers. Which turned into sale$ on my popular titles. 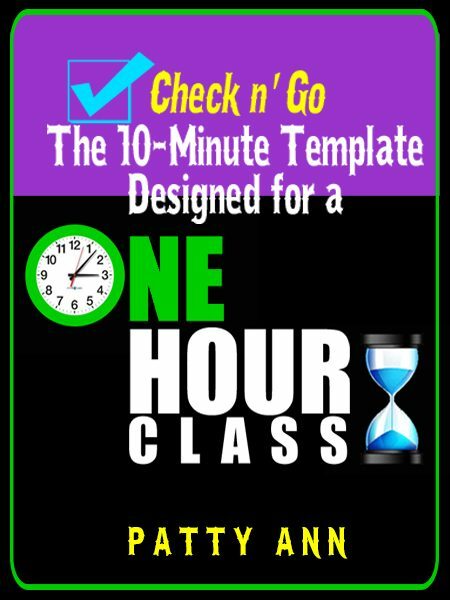 This book is written for self publishers who design their own ebook covers. Cut your learning curve in half! Let my trial and errors educate- and save you time. Lots of sage advice offered here! Included are many before and after ebook cover photos. Plus, a plethora of et cetera tips. Learn what it takes to turn your cover duds into dandy sellers NOW! ENJOY~! Cover Updates & New Products Out! Check n’ Go > A NEW Book! + 2 Books UPDATED with NEW Covers! 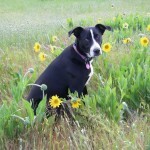 Patty Ann’s Pet Project Celebrates ONE YEAR in ACTION! 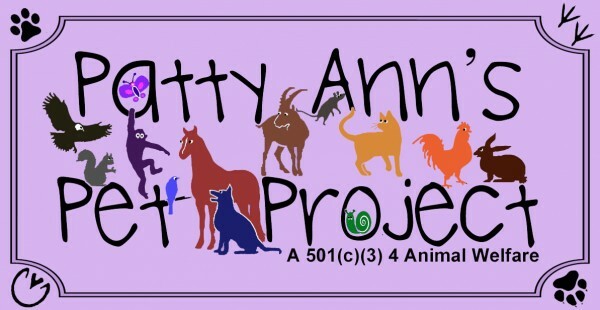 PaTtY aNnS PeT pRoJeCt CeLeBrAteS 1 YeAr in AcTioN!!! Acknowledgement & Donations were Given to 14 Rescue Groups this 1st Year!! ALL Made Possible By PattyAnn.net Book Sales! thus $aving commissions that can go towards more Pet Project donations instead. THANK YOU for sharing FB posts, emails, referrals, buying books and donating directly! Yup~ It IS TRUE! 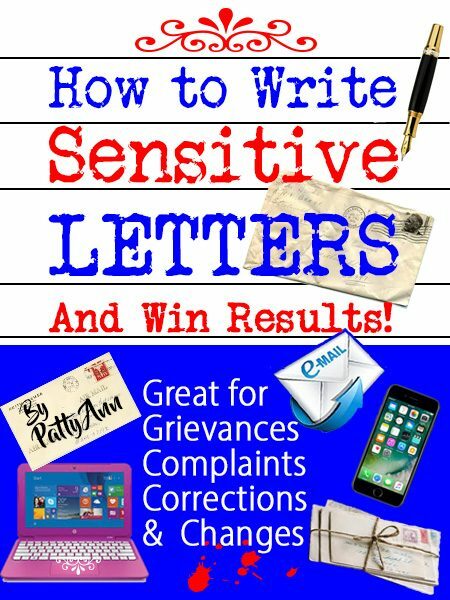 PattyAnn.net Sells Books Now! Ready Get Set & GO > Now Selling eBooks Right Here! Months of revamping PattyAnn.net and the result? ALL eBooks can now be sold directly to YOU! My decision to sell on this site came about for several reasons. FIRST, why pay commissions to other sites when I do my own advertising? Those commissions will now go towards MORE funding of Patty Ann’s Pet Project Donations. Also, many eBooks are able to be discounted at a savings to you. And, ALL eBook Sets are bundled for $AVING$! SECOND, this site is no longer at the mercy of other selling site algorithms. Algorithms dictate where, who, how many times my books are seen. The outcome has a huge influence on sales. LAST, I wanted to give readers the option of not having to remember their account logins. In fact, NO ACCOUNT IS REQUIRED TO PURCHASE any eBook here! NOTE! ALL of PattyAnn.net eBooks are in PDF format. PDF allows for a well designed, customized eBook. EPUB is also included for many eBooks. EPUB accommodates eBook reading, but is not highly formatted. 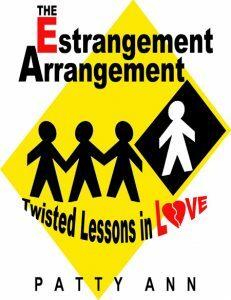 Most all eBooks (PDF only) will continue to be sold at my TeachersPayTeachers Store. Offsite eBook stores sell EPUB or Mobi formats, as shown on the HOME page. If you have questions or comments, or any issue with downloads, please EMAIL ME! Thank YOU & ENJOY! Planning an Event? 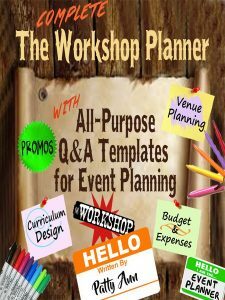 Use the The Complete Workshop Planner! The ONLY WAY to Plan Your Next Workshop Event. 10 Templates Will Pave Your Path to Success! 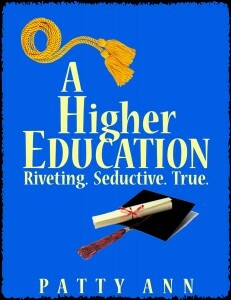 A HIGHER EDUCATION = Not Just a GOOD READ. It’s a TRUE Story! Looking for College Drama that is Exciting & TRUE? Save a college department fated for ruin. The rare termination of a tenured faculty administrator~! Learn how serendipity intervenes to hand out justice. 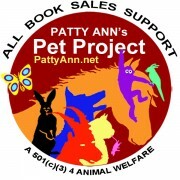 PattyAnn.net Book Proceeds Benefit Animal Rescues! GOOD NEWS! Patty Ann’s Pet Project is a 501(c)(3). We are a NONPROFIT & can ACCEPT Donations 4 Animal Welfare! We owe animals ~ All of them. Healing & unconditional love & acceptance. Ascend to a higher place along with our furry friends. Patty Ann’s Pet Project is a long time dream that is evolving. Stay posted & Thank YOU 4 Your Purchase ! You can find all Videos on Channel PattyAnn.net on YouTube. 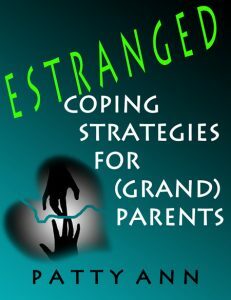 Author Patty Ann wrote her true life experience over a 4 year period. 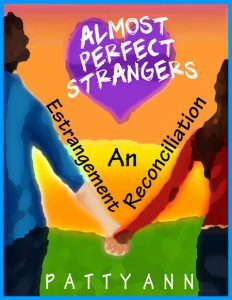 a reconciliation that concludes with a HAPPY ENDING! and perspectives from one who has been there. Happy Ending Get the 4 Pack! I promise to make entries, short and sweet, and to the point.